President Sirisena who does not usually attend parliament made a special visit to the House to make an address as the parliament was convened on an adjournment debate to pay tribute to Mahatma Gandhi. 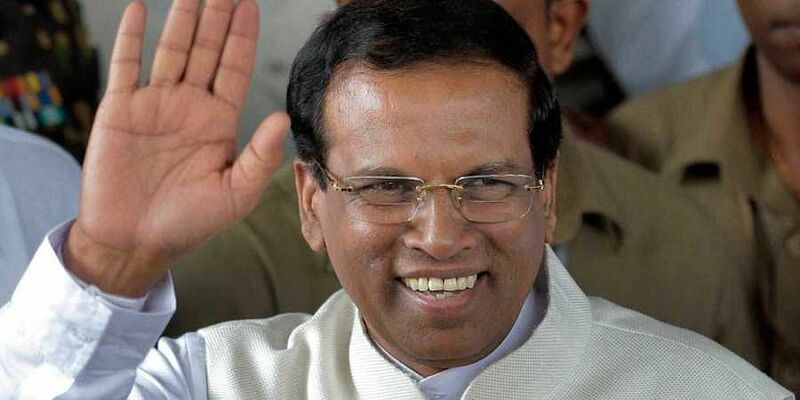 COLOMBO: Sri Lanka's President Maithripala Sirisena on Friday said border clashes between India and Pakistan are unfortunate as he addressed a special session of the country's parliament to mark the 150th birth anniversary celebration of Mahatma Gandhi. Recalling Gandhi's biography and references made in it on the creation of Pakistan, Sirisena said, "He (Gandhi) told Mohamed Ali Jinnah please do not break away to create Pakistan as a separate state. He told him to become the leader of India along with the rest of the leaders of the great Indian independence movement.
" "He broke down in tears when Pakistan was created," Sirisena. The president said border clashes between India and Pakistan are unfortunate. "Both countries are suffering due to this border clashes and are spending billions to safeguard borders and to preserve their national security," he said. Prime Minister Ranil Wickremesinghe who opened the special debate said, "Mahatma Gandhi is shared by all of us. He inspired the independence movement of the countries in the neighbourhood such as Sri Lanka.
" The main opposition and Tamil party leader R Sampanthan said the Tamil minority in Sri Lanka should have followed Gandhi in their struggle for political freedom. "We could have averted the armed struggle if we had done Sathyagraha, civil disobedience and ahinsa on the lines of what Gandhi had taught us," Sampanthan said.